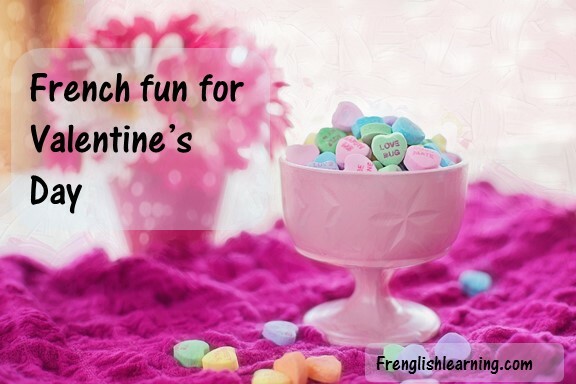 Feb. 14th is almost here and as usual I like to weave French vocabulary building into celebrations as much as I can (while still keeping them fun, of course!). Each year on Valentine’s Day, I prepare a treasure hunt for my kids. They get the first clue outside their door, which leads them to clue #2, etc. until the end where the treasure is a bit of chocolate and something small. In 2014, we celebrated while vacationing in Arizona. 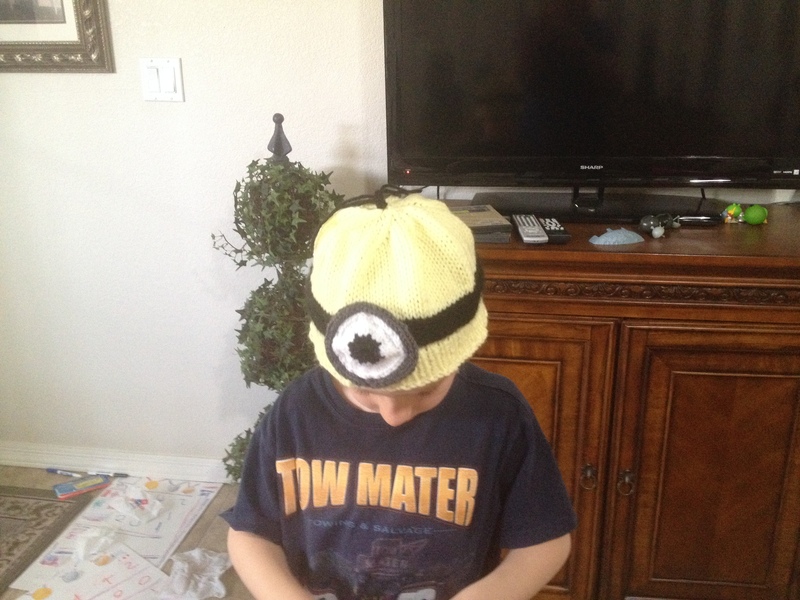 I had knitted the kids minion hats which formed part of the treasure. 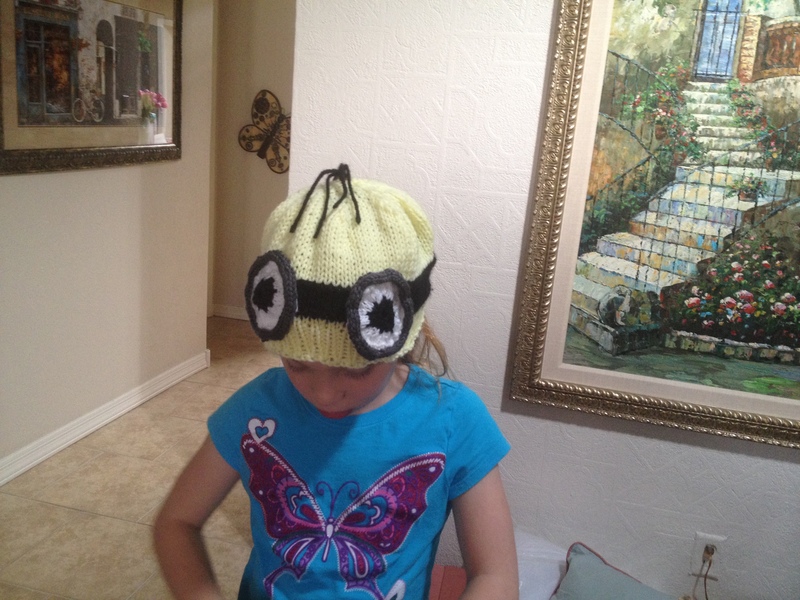 While you’d think they wouldn’t need a knitted hat in Arizona, they actually used them when we were at the Grand Canyon. When they were preschoolers, the treasure clues were a few words long in English. Then, we progressed to a few words in French. Now, they get full cryptic clues in French to find. They really look forward to it every year. Last year, we were in California (can you tell I’m not a fan of being in Canada in the winter time?!). In 2015, we were actually at home on Valentine’s Day, so we had a number of fun activities with our French club including games and science experiments. 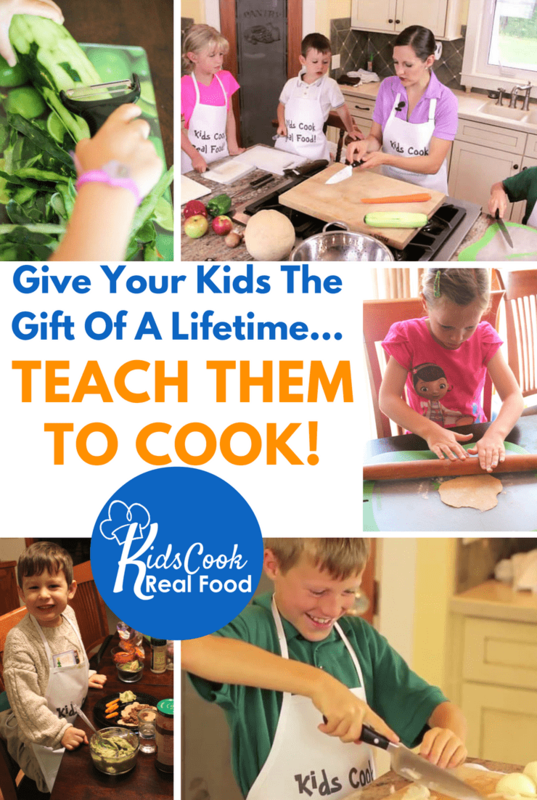 You can find those ideas, along with some links to different printables here. Teachers Pay Teachers also has some printable Valentine activities. You can find those here. 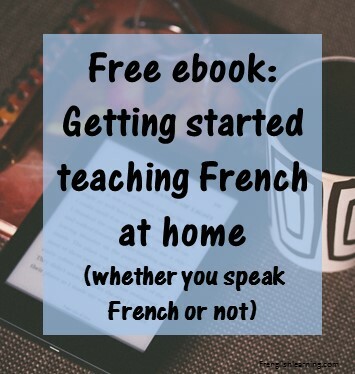 This entry was posted in 0-3 years, 4-6 years, 7-10 years, Advanced, Beginner, Bilingual parent, Immersion, Intermediate, Other, Parent speaks some French by Leanne. Bookmark the permalink.